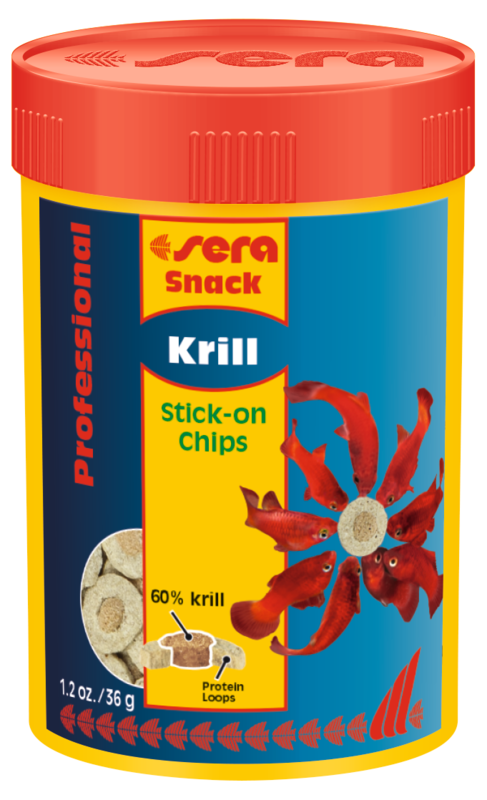 sera Krill Snack Professional, the treat with 60% Krill in the core, in particular supports the optimal color development of the fish. The natural astaxanthene as well as the trace elements in Krill additionally support readiness to spawn and liveliness. After soaking them briefly, the gently co-extruded attaching chips can be easily attached to the aquarium glass. The fish then enthusiastically pick off these treats bit by bit and thus allow for exciting observation opportunities. However, the quickly sinking chips are also excellently suited as a healthy variation for all bottom dwellers. 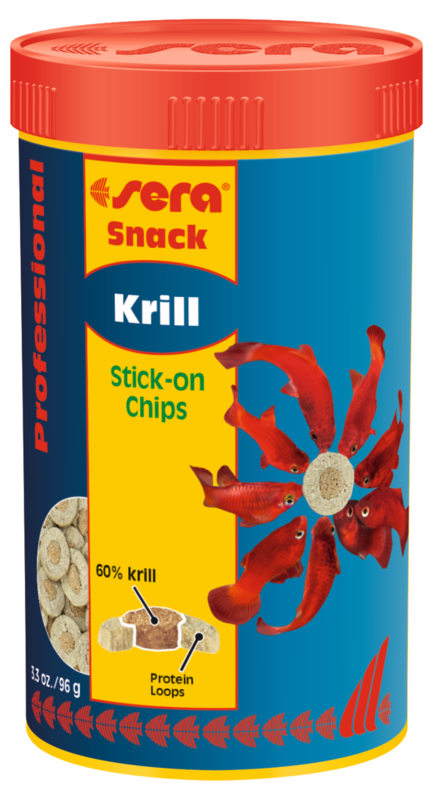 The easily digestible snack is entirely free from colorants and preservatives. And the high amount of 60% food organisms in the core of the bicolored food wafer makes the chips particularly attractive and valuable. 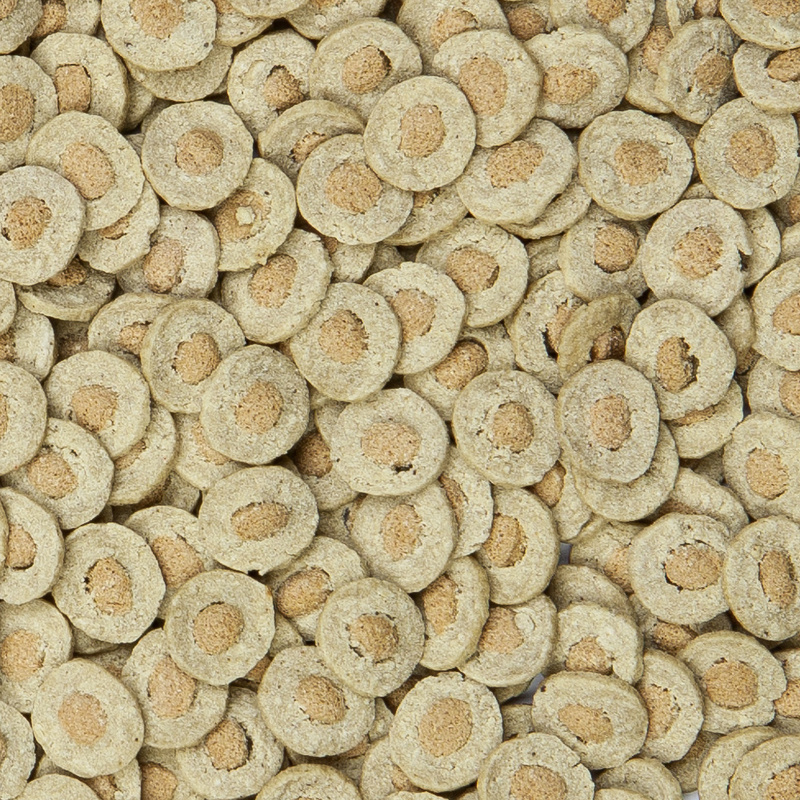 wheat gluten, corn starch, krill (20%), wheat flour, fish meal, fish oil (containing 49% omega fatty acids). Min. Crude Protein 45.4%, Min. Crude Fat 4.3%, Max. Crude Fiber 3.4%, Max. Moisture 5.9%, Max. Crude Ash 3.6%.